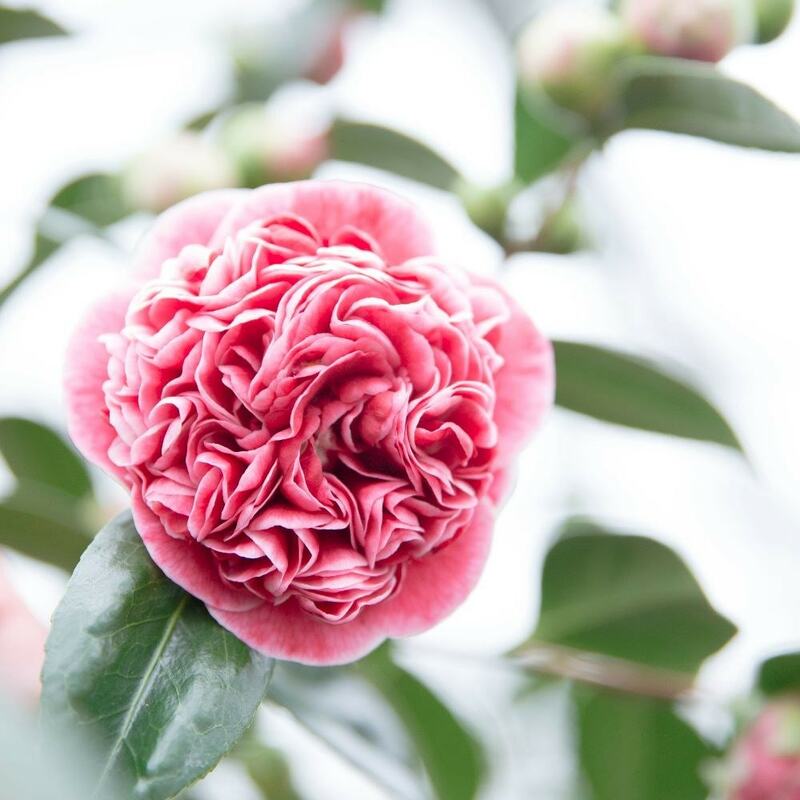 The large flowers of this exquisite camellia open from bud in mid- to late winter. Initially a soft pink with a lighter edge, the flowers look as though they have been dusted with icing sugar. As they age, the flower colour deepens, but the petal tips remain light, so the two-tone effect becomes more prominent. 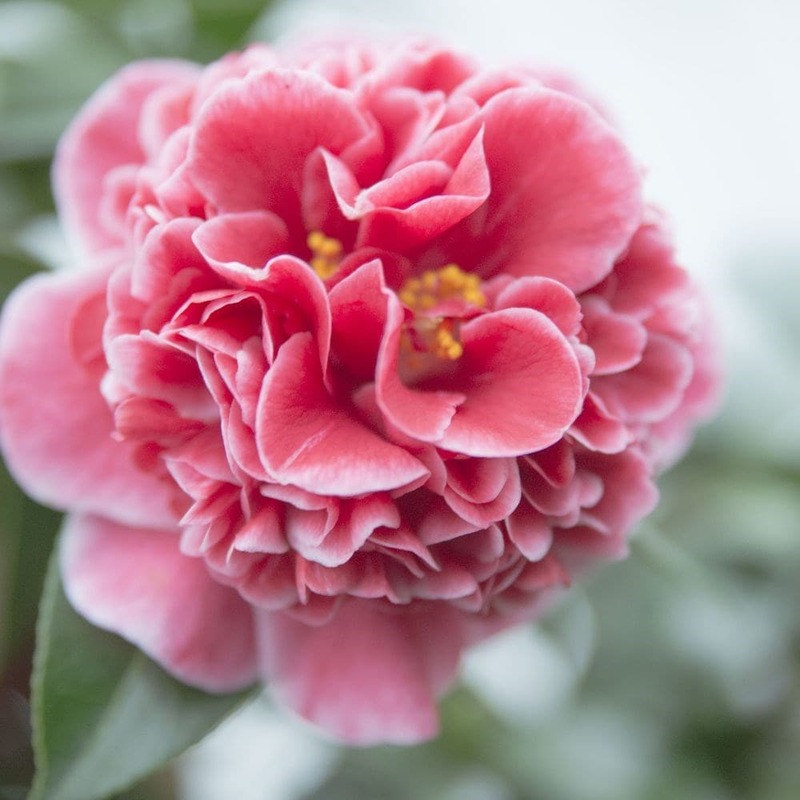 This recently introduced cultivar is relatively compact, so if you are prepared to keep it well watered, then it is possible to keep it in a large pot on the patio.